Explanation: Venus now appears as Earth's brilliant morning star, standing in a line-up of planets above the southeastern horizon before dawn. For most, the silvery celestial beacon rose predawn in a close pairing with an old crescent Moon on Monday, December 7. But also widely seen from locations in North and Central America, the lunar crescent actually occulted or passed in front of Venus during Monday's daylight hours. This time series follows the daytime approach of Moon and morning star in clear blue skies from Phoenix, Arizona. 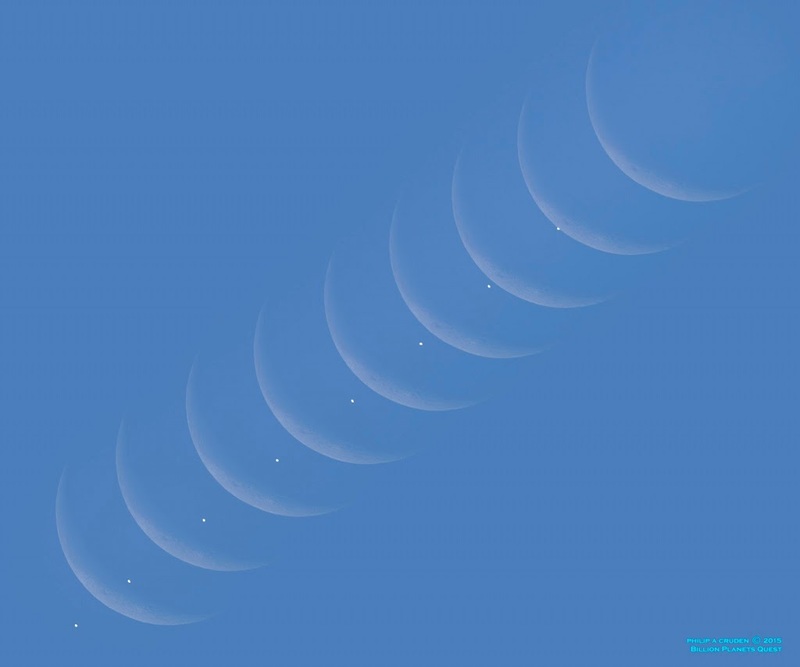 The progression of nine sharp telescopic snapshots, made between 9:30am and 9:35am local time, runs from lower left to upper right, when Venus winked out behind the bright lunar limb.